It would be all so easy if football were a video game. If the players were pixels, with easy-to-read sliders with their statistics on them. Then the FCS playoffs would be easy. You’d plug in the teams, they’d hit each other virtually on the screen, and there would be a result, quantifying the relative strengths and weaknesses of each team. 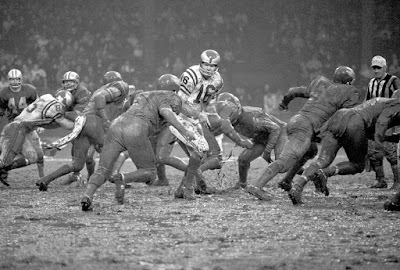 A representative score would come out, and there would be one side bursting with victory, and the other in agony in defeat. There would be bitterness, some teeth-gnashing, but at least you’d have figured out that the teams gave it their best shot. But real life is not a video game. Sometimes, star players go hunting, and come down with an illness. It keeps them out of practice, and on the day of the big game, they’re not 100%, or even 75%. Sometimes, foot injuries do not heal, as much as you wish that they would. And then a team like Lehigh travels up to New Hampshire, not able to put their absolute best foot forward. Not that it’s an excuse – injuries, and all sorts of other things, happen during a football season. New Hampshire exposed what may have actually been weaknesses hiding in plain sight for this Lehigh team, exposing the soft white underbelly of the Mountain Hawks – the ability to stop an elite running game. But it was heartbreaking to have Lehigh not be able to put their absolute best foot forward, to not be able to go down with two of their four team captains at full strength. Instead, all that Lehigh fans got to see were tiny glimpses of the team they had gotten to know so well over the last couple of months, sandwiched around a lot of evidence on how much better the Mountain Hawks need to be in order to compete for a national championship. 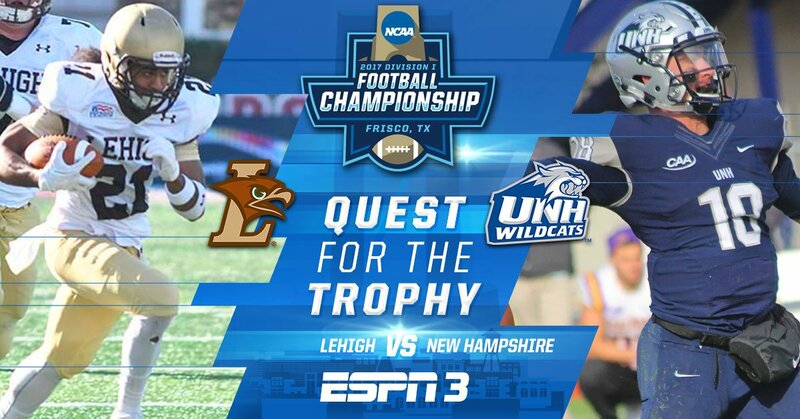 By now you probably know that Lehigh is headed to New Hampshire on Saturday to face off against the Wildcats in the first round of the FCS Playoffs. About this, some of you are scratching your heads. Lehigh is 9-2, you say. Every single computer rating system has them ranked ahead of New Hampshire, every single human voter poll has them ranked against New Hampshire. 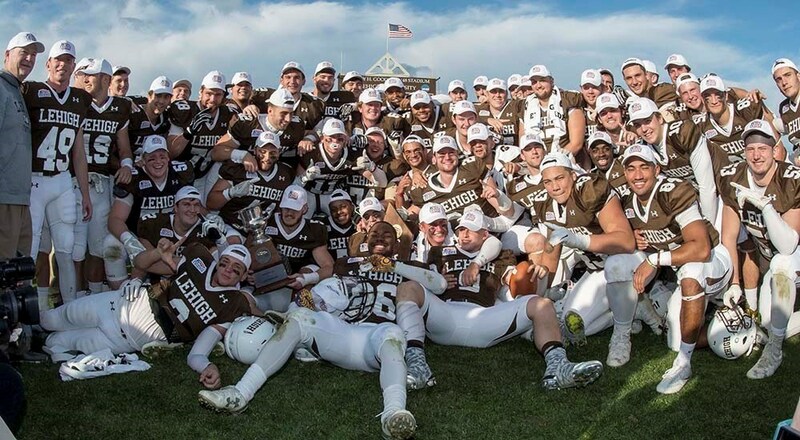 Lehigh won the Patriot League outright; New Hampshire weren’t even co-champions of the CAA. Why is New Hampshire hosting us? The answer resides in the bidding process and some NCAA rules, both of which explain why it happened. I’ll talk about this, and my other thoughts on the bracket, below. Round 1 of the 2017 FCS Playoffs: Lehigh vs. New Hampshire! Stop me if you’ve heard this before: As a reward for being the surprise outright winner of the Patriot League football championship, the reward is a trip to New Hampshire, the winner headed to seeded James Madison for a second-round game. And somewhere, Sam Houston State looms on the horizon. This is the exact situation that Colgate found itself last season, and this year, Lehigh is poised to run through the exact same gauntlet and the exact same teams. 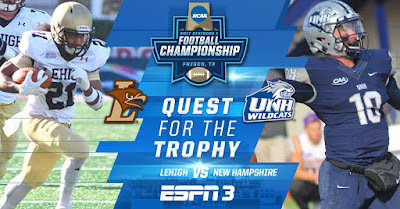 Sunday morning, Lehigh found out their opponents for the FCS Playoffs; the New Hampshire Wildcats. The game will be played at New Hampshire at 2PM EST, and will be available to watch on ESPN3 on your computer and possibly ESPN Gameplan Pay-Per-View on your TV. Where Will Lehigh Play in the Playoffs? Let’s just put it this way: After looking at the mock brackets from around FCS Nation, mocking it out myself, trying to go over as many possible scenarios that I possibly can – I still have no idea. That doesn’t mean, dear Reader, that I won’t try, and I won’t try to explain to you what I think could happen. But it’s not easy, and you’ll see why. Put simply, I feel like this is the most wide-open playoff field ever, for two reasons. We break down #Rivalry152 – and we give our fearless prediction, below the flip. When you take away The Rivalry, when you take away the emotions, when you take away the craziness, the energy – what do we have? When you look at the Xs and Os, what do you have? Certainly, this game, like every Rivalry game, will be dictated and informed by emotion. You can count on the fact, as a Lehigh fan, that Lafayette will play out of their minds. For their seniors, it is guaranteed to be their last game played together as a team. 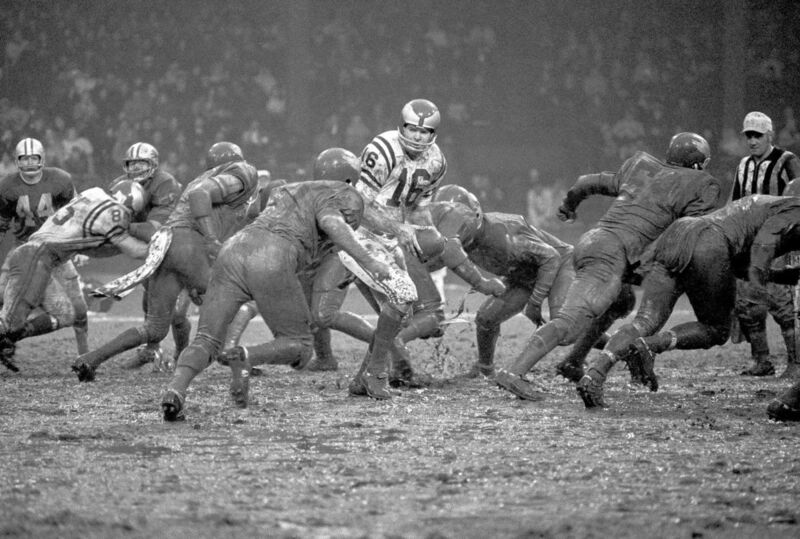 For them, there is no practicing on Thanksgiving. Countless football teams have taken this “300” mentality and turned it into wins. Quarterbacks that used to struggle to not get intercepted suddenly become the second coming of QB Tom Brady. Linebackers that didn’t wrap up their tackles before suddenly become LB Mike Singletary. It can happen to Lehigh. Don’t think that it can’t. That shouldn’t stop us, though, from looking over the Leopards and seeing what they’re all about. They will put together a gameplan to come away with victory. 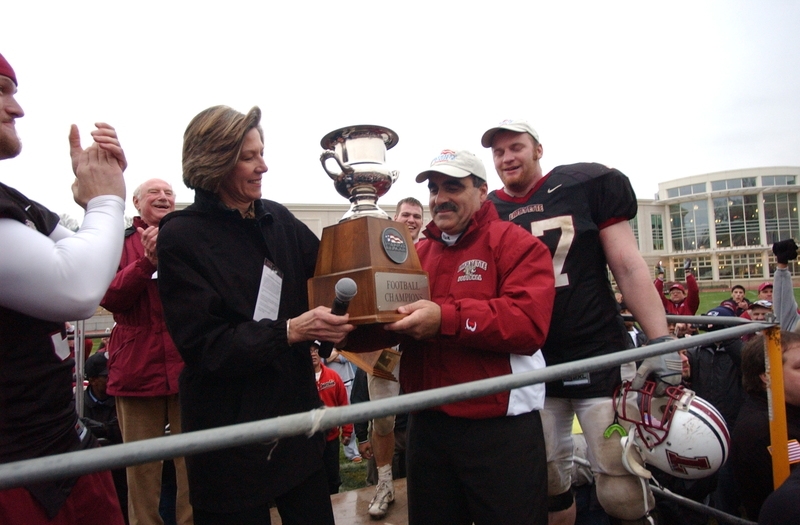 It’s up to the Mountain Hawks to keep that from happening.